An Igbosere High Court in Lagos has remanded a lawyer, Chidi Uzoije Amadi, for allegedly jumping bail and changing his identity, after his arraignment in 2016 for allegedly obtaining N4.5million by false pretence. Justice Modupe Nicol-Clay made the order following Amadi’s re-arrest and re-arraignment on a two-count charge of stealing and obtaining money by false pretence. The fresh charge, marked LD/5648c/2017, was preferred against him by the Lagos State Director of Public Prosecutions (DPP). It alleged that Amadi, 52, obtained the sum from a businessman, Augustine Chigbo Okoro, in 2013, on the pretext that he could secure him 20 plots of land at the Ibeju Lekki area of Lagos State, for N200,000 per plot. He allegedly failed to do so, did not return the money and fled after being granted bail. Prosecution counsel Mrs. K.O. Sarumi said the alleged offences contravened sections 285 and 312 of the Criminal Law of Lagos State, 2011. The defendant’s wife, Ngozi Chidi-Obinwanne of Gamaliels’ Advocacy, applied for a date to hear his bail application. But Sarumi opposed her. She notified the judge that the defendant was a flight risk and prayed the court to remand him for trial. 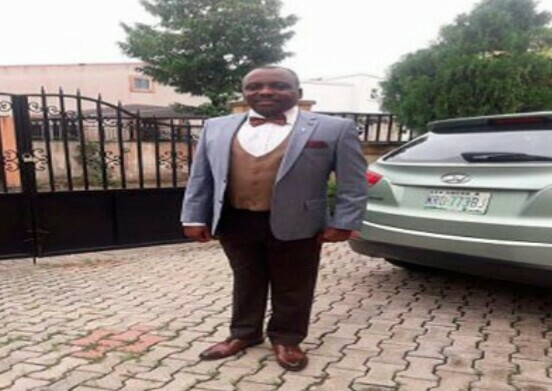 The prosecutor alleged that the defendant absconded soon after he was granted bail in the same matter by an Igbosere Magistrates’ Court in 2016. She told Justice Nicol-Clay that Amadi moved from Amuwo-Odofin and also relocated his law firm, Chidi Uzoije Amadi & Co., to an unknown location. The court heard that the state filed a case against him at the high court, but Amadi failed to appear, following which a bench warrant was issued last April, and the police began a manhunt for him. According to the prosecutor, Amadi was neither seen nor heard from until November 13, when, following a tip-off, he was re-arrested at an Epe High Court. The court heard that Amadi allegedly moved to Ajah area of Lagos and now practises law under a new name: Chidi Uzoije Obinwanne. The prosecutor said investigation was on to determine the defendant’s current identity, residence and place of work. Justice Nicol-Clay remanded Amadi in Kirikiri Maximum Security Prison, Ikoyi and adjourned till November 28 to hear his bail application. The Nation reports that on February 5, 2016, the Federal Criminal Intelligence Investigation Department (FCIID) Alagbon, Lagos, arraigned Amadi at an Igbosere Magistrates’ Court on a one-count charge bordering on fraud. Prosecution counsel Mr. Ezekiel Upah said sometime in 2013, Amadi promised a businessman, Augustine Chigbo Okoro that he could secure him 20 plots of land at the Ibeju Lekki area of Lagos State, for N200,000 per plot. He said Amadi failed to provide the land, but did not return Okoro’s money. The prosecutor said the offence contravened Section 312(3) of the Criminal Law of Lagos State. Senior Magistrate H. O. Amos granted the defendant bail at N500,000 with two sureties. He remanded the defendant in prison custody pending the fulfilment of the bail terms and adjourned till March 3, 2015 for mention. At that time, Amadi described himself on his Facebook page as a graduate of the Faculty of Law, Abia State University, Uturu, resident at Amuwo Odofin in Lagos. But now he goes by the name Chidi Uzoije Obinwanne on Facebook.